Cycling is one the most physical activities outdoors. Aside from a whole-body experience, there are also a lot of factors contributing to the type of sunglasses a person should consider. That is the reason why I decided to make this buyer’s guide so you can choose the best cycling sunglasses for this year 2019. Listed below are the different types of cycling sunglasses with a brief description of what to expect and look for. There are cyclists who use their bikes for their everyday mode of transportation. 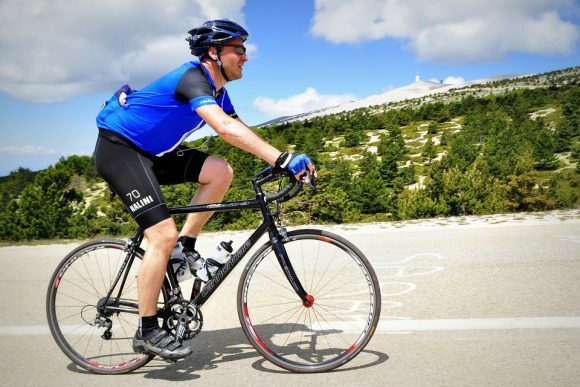 Aside from being energy-efficient, cycling also works out the body to deviate from a couch-potato lifestyle. In road cycling, the athlete is exposed to sunlight, dust, dirt, smoke, and other weather conditions. These factors are harmful for the eyes. Appropriate sunglasses are something that could protect the eyes from these factors. Compared to road cycling, mountain biking has a more difficult terrain. Aside from the factors the cyclists face in road cycling, additional humps, bumps, foliage, running water, wild animals, and many more unprecedented events could take place in mountain biking. Hence, a more protective eyewear is necessary. The cyclocross or mud biking is very similar to mountain climbing but is made to be more extreme. Yet, the patch of cyclocross athletes are defined. The only thing that that athlete could not foretell is the impact it would receive when other cyclists crash into him/her or his/her loss of control. As expected, this type of activity requires the athlete getting dirty. A pair of sunglasses that is resistant to impact and dirt could save the user from further inconveniences. Of all the three types of cycling, road cycling is the least harmful. Even though this is the case, the sunglasses appropriate for road cycling is the foundation of the properties a cyclist should look for. Basically, a cyclist’s sunglasses should look for comfortability, flexibility, durability and resistance to weather and dust. There is a default shape for cycling sunglasses. The frame is only placed at the top part of the glasses. The curvature of the glasses wraps around the head for a snug fit. As the cyclist moves forward, the minimalist design of these glasses allows the cyclist to cut through the wind and preventing air drag. Hence, the velocity would not be affected at the very slight. Moving on with the basics of the lenses, it is appropriate to have the lenses tinted or polarized to cut off the intensity of light. The tints are coated on the surface of the lenses. As light hits the surface, some of the wavelengths bounce back giving way to the color of the lenses the human eyes perceive. It only allows light of specific orientation to pass through the unpolarized sections. This property often reduces glare or the direct bounce of an incident ray of light into the eyes of a spectator. There is an in-between state called photochromic lenses where the lenses adjust according to the light available for the user’s eyes. Photochromic lenses darken when ultraviolet (UV) light hits them. Organic photochromic molecules, like oxazines and naphthopyrans, are coated on the surface of plastic lenses. With the UV light being filtered, the user could avoid having eye cancer, photokeratitis, macular degeneration, blindness, and many forms of cataracts. The lenses could also have coatings that could repel several agents keeping the glasses free from stain. A hydrophobic coating is made from a non-polar material that produces a high degree of contact angle as polar substances, most likely water, hits the lenses’ surface. On the other hand, oleophobic material does the same in non-polar substances. Since oil, a non-polar substance, is responsible for producing fingerprint marks, an oleophobic coating could reduce the probability of the occurrence of this phenomenon. Meanwhile, dust resistance is achieved by having a closely packed array of molecules. The nicks and cracks of the glasses being minimized does not allow particles of certain sizes to enter and cling on the lenses’ surface. For extreme cycling, a frame being made of impact-resistant material such as polycarbonate is important. Polycarbonate absorbs and distributes the shock throughout the package. A more durable material is established but combining this polymer to other materials or enhancing its properties could deliver better results. The frames should be made of a material that is lightweight, comfortable, flexible, and durable. The recommended material for this is polycarbonate and its derivatives. To snuggly fit in the user’s head, the frame should be designed to be wrap-around. A great feature would be rubber grips on the sides of the head and the nose pads. The nose pads are preferably adjustable to be shaped according to the contours of the user’s nose to prevent slipping. Preferably, the glasses cover most of the cyclist’s face to prevent agents from entering the eyes. Extreme cycling could have a goggles-type of sunglasses where a flexible band is tied on both arms to fit on the user’s head. Many tints are available for cycling sunglasses but the most recommended are those having red or pink hues. Reddish tints enhances depth perception; hence, these hues are good for distance-related activities. Red-tinted lenses also adjusts contrast giving way to a crisper and sharper detail. The road could also have a high visibility in this color. The red tint has a therapeutic property that could relax the eyes by filtering blue light. Thus, the user’s eyes could be free from eye strain and its symptoms. In addition, with blue light filter, the user could enjoy a whole night sleep since the sleep-inducing hormone, melatonin, could be controlled. However, if a combination of tint and polarization could have the surroundings too dark for the user, photochromic lenses should be the option. This is a bit pricey, so it would be the last factor to consider. There are also sunglasses with interchangeable lens but it would be a hassle to do it. The good part is that these lenses also serve as a replacement in case one is broken. The material for the lenses is expected to be made from polymer. Cycling could involve a lot of crashing, so it is more likely to have the glasses shattered and harm the eyes. Impact-resistant material such as polycarbonate is still needed. Cycling sunglasses, when worn in an appropriate setting, could lead the user to a more exhilarating and hassle-free cycling experience. The late, negative effects brought by cycling to the user’s eyes could be prevented. The user could enjoy cycling for a longer period of time. Here is the list of the best cycling sunglasses that you can use while outdoors. These frames are designed with a classic full-rim design which makes them look stylish and extremely impact-resistant. This frame as I have mentioned earlier is also accommodating for most faces. In this regard, you don’t have to worry whether it will fit you or not. The AKASO polarized sunglasses has premium protective lenses. These lenses are able to protect all various types of ultra-violeT rays like the UVA, UVB and UVC. The lenses cut glare from water, snow, sand and pavement for increased visual acuity. Moreover, it helps in decreasing eye fatigue as it offers 100% UV protection. Each AKASO polarized sunglasses is equipped with one protective EVA case and one microfiber cleaning cloth to ensure that the sunglasses are maintained clean all the time. Moreover, the sunglasses package is provided with one polarization testing card and a 30-day hassle free return if the eye wear doesn’t necessarily please you or if anything happens to them. 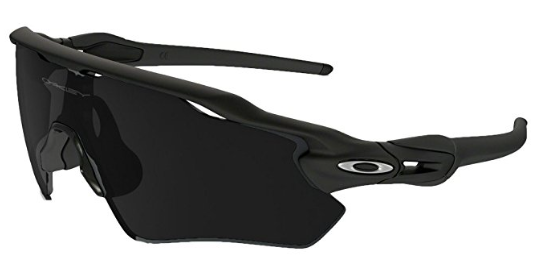 Oakley Radar Shield sunglasses only cover the upper half of the lenses. The frame runs a single plastic material from the brow ridge to the arms. 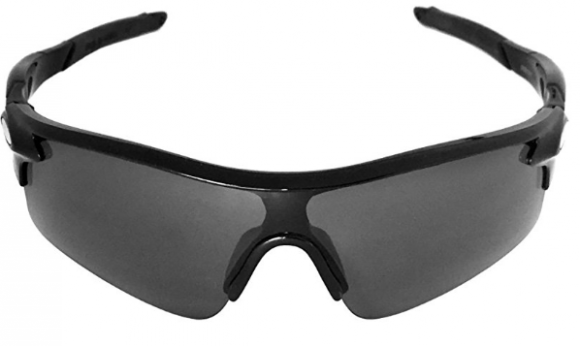 The plastic used to make the frame is patented by Oakley and is called O-matter. Just like other Oakley frame materials, O-matter is a nylon-infused plastic which makes it more stress-resistant. The difference with other materials is being less rigid; thus, being able to be shaped better when following the contours of the user’s face. Just like the frame, the lenses are also made of plastic. Actually, there is only one lens because this model is a type of shield glasses. Shield type is characterized by a single lens that runs from temple to temple. As previously mentioned, the lenses are connected to the frame on the upper half part. Throughout this connection, there are notable gaps in which the lenses look chipped so as not to touch the frame. Prizm is a result of Oakley’s years of research in color technology. The resulting Prizm lens could look like a gasoline drop in a puddle of water. The colors are dispersed in such a way that a wavelength of light in that area is reflected off the lens’ surface. PCs are notable for its durability and impact- and/or shock-resistance while maintaining its light weight and flexibility. An improvement of PC made by Maui Jim is the incorporation of another durable nylon material. This process makes the frame even more durable. Having rectangular rims allows the Maui Jim Maleakala Sunglasses to be suitable for any face shapes. Not only do the frames are durable, but also the hinges are made of anti-corrosive pins. The saddle style nose bridge is lined with adjustable Rabalon nose pads. The temples are connected to the skull arms by an anti-corrosive pin that acts as a hinge. There is an inscription of the Maui Jim brand name at the exterior side of the arms connected to the temple. The lenses of Maui Jim Haleakala Sunglasses are follow the structure set by the frames. As such, the lenses are modified rectangular. It has a base curvature radius (BCR) of 8. Each lens has dimensions of 66 mm (2.60 in) wide and 43 mm (1.69 in) high. The material used for the lenses is MauiPure or MauiBrilliant. The Maui Rose is best used for fast-paced sports and is suitable during days of full sun and overcast. The hues also offer a fashionable summer vibe because of its richness. To start with, Duduma’s polarized eyewear is made up of a superlight TR62 frame. The frame is designed with a desirable design to give it the best look compared to other range of sunglasses. This eyewear comes in different quality and colors. This allows the customers to choose the color which they like. 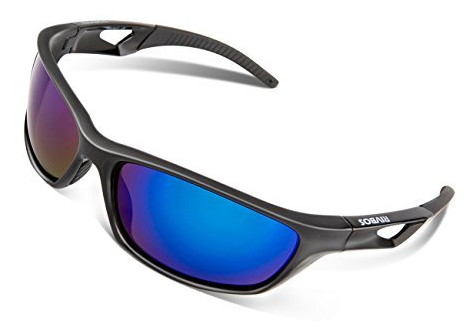 These lenses moreover, are TAC polarized and offer 100% UV400 protection. More so, they protect the user against UVA and UVB rays on a 100% efficiency. They restore true color making them cool for outdoor activities. They also eliminate reflected light and avoids all scattered light from reaching the user’s sight by protecting the eyes perfectly. This product is equipped with a hard protective case to store and ensure safety, a cleaning soft cloth to maintain the product’s cleanliness and a cleaning soft fabric sunglasses pouch to store and clean any time necessary. The frame of this Tifosi glasses being made of TR-90 nylon polymer makes it lightweight, flexible, and even durable. TR-90 is one of the breakthrough materials in making frames. In fact, it is called “memory polymer” for it could be shaped in any way as to follow the contours of the face of the user. As such, TR-90 is usually used for glasses intended to provide the uttermost comfort. The lenses being made of PC is intelligently made for only half of these are protected by the frame. Impact could go from any direction. Without the frames to protect the bottom part, the lenses should have a material that could protect itself. PCs are one of the most reviewed materials for impact resistance. It may affect optical clarity, though. Each pair of Tifosi Tyrant 2.0 glasses has a hard case that could be locked by a zipper. It is covered by intricately woven fabric. The Tifosi brand tag could also be found sewn on the zipper line. 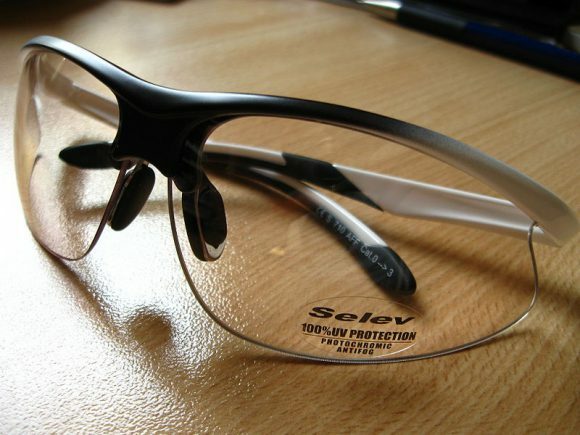 It protects the glasses from contamination and oxidation as well as mechanical breakage due to impact and shock. Smith Optics Max sunglasses takes a minimalist design for the frames. The part that is visibly present are the arms and the nose pads. They are linked to the temples while the nose pads are placed on the bottom center of the lenses. On the other hand, the nose pads are adjustable by two positions. Both the nose and temple pads are made of hydrophilic megol material. The frame is made of TR-90 or Evolve material and is available in 14 colors. The hues vary from plain black to stark yellow. The singularity of lenses is almost separated by the nose bridge that creates an inverted V at the bottom center of the lenses. It has a seven-base line curvature. The carbonic tapered lens technology (TLT) lenses are also hydroleophobic. There are three lenses that could be interchangeable. The package includes the following lenses: 1) clear, 2) “Ignitor” – rose-colored with light mirror finish, and 3) mirror in gray, black, platinum, or yellow. Each lens has different functions different from one another. Clear lenses have 100% transmission of light and provides the least distortion from normal view. The Ignitor lenses has red hues that enhance contrast leading to deeper details. Meanwhile, mirror lenses reduce glare and block most radiation. The lenses are coated with a hydroleophobic material. The material is durable which is a fantastic feature of an unbreakable frame. This pair of active eyewear features has an unbreakable frame that has the ability to bend under pressure without breaking. The RIVBOS (Rb831) wraparound design that sits snugly and comfortably around the face ensures that they stay at all times. They come with an elastic sport belt in which you can interchange. Basically, you can strap or bow the eyewear. There is also a soft rubber pad that gives a comfortable feeling to the user as they undergo through their sports activities. These lenses eliminate scattered light and effectively protect the eyes. The most remarkable property of this eyewear is its resistance to impact and scratch. This also leads to higher durability. Each RIVBOS (Rb831) eyewear are packed in hard protection portable case, color box pouch, strap and a cleaning cloth to ensure that the sunglasses maintain their initial looks. They are very comfortable and do not hurt at all. Their arms are also flexible and this makes them easy to fit on different head sizes. The nosepieces are made of silicone and do not have many ridges. This gives them a firm grip around your nose. The silicone material also enables the glasses to stick well on your face when you are doing various activities. Apart from that, the material prevents them from sliding in case you sweat. Another thing I like about J+S Active plus cycling sunglasses is that they are able to protect you from harmful elements such as dust, twigs and leaves during your outdoor activities. They also allow you to see things clearly. The lenses are tough, scratch resistant, lightweight and have a high optical clarity. They are 10 times resistant to impact as compared to glass or plastic lens. These glasses come with a molding and encompassing frame which contains ant-slip legs to ensure that they stick well behind your ears. The overall frame has an ergonomic design with rubbery-textured material covering the ends of the arms, the nose bridge and some part of the frame holding the lenses. The nose pads are also made of the same material. The frame is made of an alloy or mixture of two metals: aluminum and magnesium. The available colors for the frames are black, grey, and copper. With the addition of rubbery-textured materials on the ends of the arms and the nose pads, there is little to no pressure at all felt by the ears and nose. As a result, longer durations of usage can be attained with these glasses. The lenses are all made of composite materials that provides polarizing function. These lenses are lined with a protective coating that blocks off 100% of ultraviolet (UV) rays which can be found in the sun’s rays, especially during 10:00 am to 3:00 pm. For the lenses, the polarization cuts off horizontal rays that travel directly to the eyes. Hence, the eyes don’t experience much glare. Aside from the glasses, included in the package is a case made from high-quality polyurethane leather, a glasses bag, glasses cloth, and a polarized testing card. 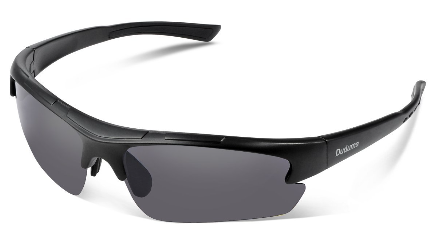 The unique characteristic of Julbo sunglasses is its removable magnetic wings on its temples. However, the magnets do not have very strong attraction, so some shields come off easily. This could pose a problem for a user that is always in motion. Also, being a constant air-tight goggles does not allow smooth airflow around the user’s face. But the slits on the lenses optimizes airflow and prevents unnecessary perspiration. 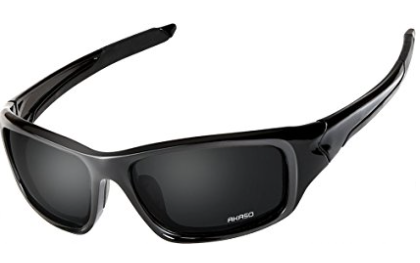 The frame of Julbo Bivouak Mountain Sunglasses is made up of 100% nylon. It could be colored in black or matte black. There are adjustable magnetic wings located at the temples to resemble goggles. Aside from those, the logo of Julbo is placed on the outer sides of the temples and they could be adjusted by 360°. A few centimeters after the temple, there is another segment of the arm forming the ear grips. The lenses of this Julbo Bivouak glasses are called Zebra. The color could be yellow or grey. They are made of NXT polyurethane material. The shape of the lenses is dictated by the rims with a base of 8, accentuated by two rectangular slits at the top, outermost corners of each. The NXT lenses are super high reactive (SHR) photochromic – they darken or lighten depending on the available light. These are just some of the best cycling sunglasses that you can use to protect your eyes against the harmful rays of the sun while outdoors. Personally, I like the ATTCL sunglasses and J+S Active sunglasses. Aside from having simple and sleek design, they are also budget friendly. Nevertheless, all of these sunglasses offer protection to the eyes while riding your bicycles. So it is just a matter of personal preference on which one you will choose. I hope that you find this buyer’s guide helpful in terms of providing information about cycling sunglasses. If ever you have more questions or concerns about this types of sunglasses, feel free to comment it below and I would be glad to help you. 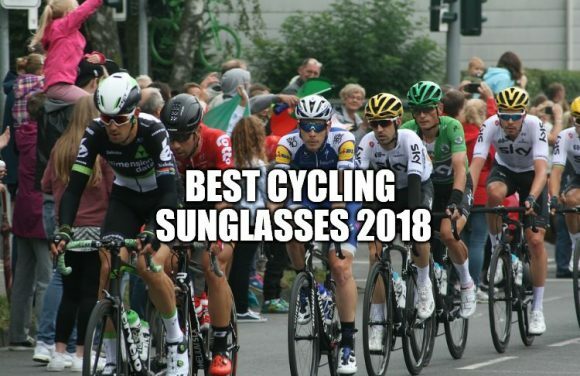 Thank you for the useful guide on the best cycling sunglasses of 2018. I am looking for road cycling glasses for my father-in-law. He wears prescription glasses. 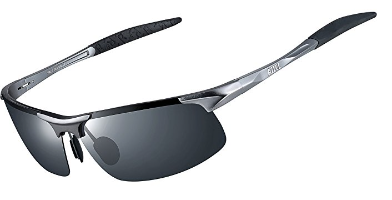 I really like J+S Active Plus Outdoor Sports Sunglasses due to the reasonable price and great functionality these offer. Besides that, they have really good Amazon score basing on more than 1400 reviews. But could they be worn over prescription glasses? Or is there some better choice of cycling sunglasses to be worn over prescription glasses? I am not sure if this cycling sunglasses can be used and worn over your prescription glasses. But based on what I know, it is not advisable.